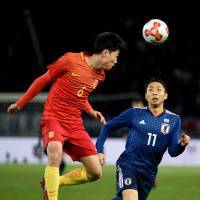 Japan scored twice in the final six minutes to beat China 2-1 on Tuesday and make it two wins out of two at the E-1 Football Championship. 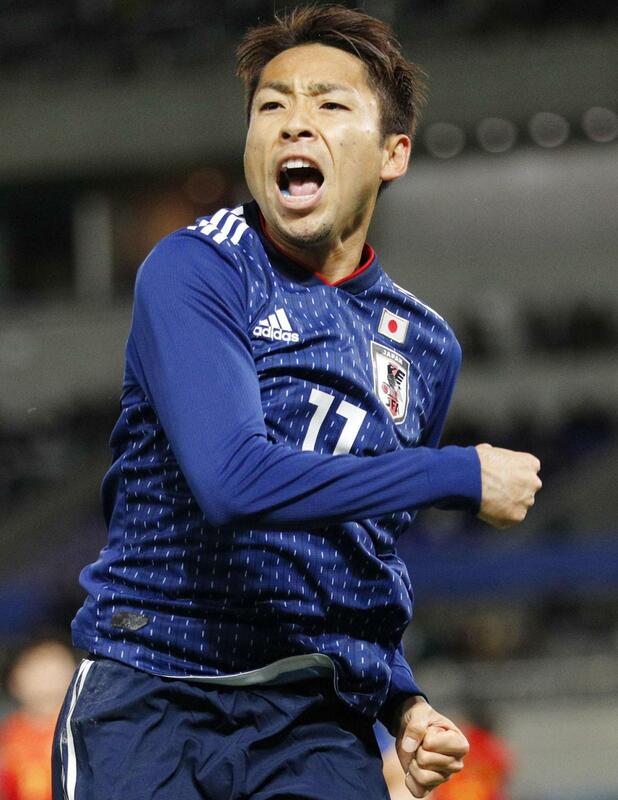 Japan beat North Korea 1-0 in its opening game of the four-team tournament last weekend thanks to a 95th-minute goal, and the home side again delivered late when Yu Kobayashi and Gen Shoji broke China’s resistance before Yu Dabao scored an injury-time penalty at Ajinomoto Stadium. Japan leads South Korea — which beat North Korea 1-0 earlier in the day after a 64th-minute own goal from Ri Yong Chol — by two points heading into Saturday’s head-to-head encounter between the two teams, with only a draw necessary for the Samurai Blue to lift the trophy for a second time. The game looked headed for a scoreless draw until J. League player of the year Kobayashi combined with substitute Kengo Kawamata to break the deadlock in the 84th minute, before captain Shoji doubled the lead with a spectacular long-range shot three minutes later. “We were confident that as long as we could keep a clean sheet, our forwards would come through for us in the end,” said Shoji. “I think Kobayashi scored at a good time. 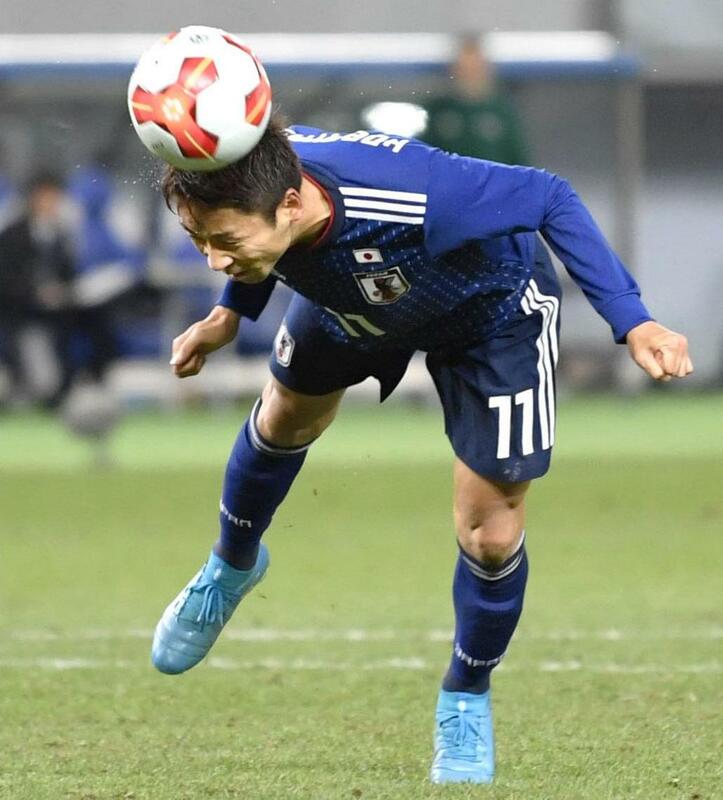 Halilhodzic retained only four players from the lineup that started against North Korea, with defenders Genta Miura, Shuto Yamamoto and Naomichi Ueda and midfielder Shoma Doi coming in to win their first caps. The manager had criticized his team for playing too many sideways passes against the North Koreans, and the message appeared to have hit home as Japan looked to get in behind the Chinese defense with long balls to Kobayashi. 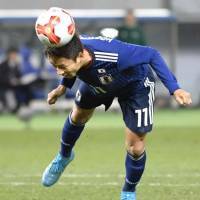 That route almost paid off when Ueda picked out Kobayashi with a deep cross that the striker could not quite stretch enough to head on target in the 22nd minute, shortly before midfielder Ryota Oshima had to be replaced by Yosuke Ideguchi after injuring himself while shooting on goal. 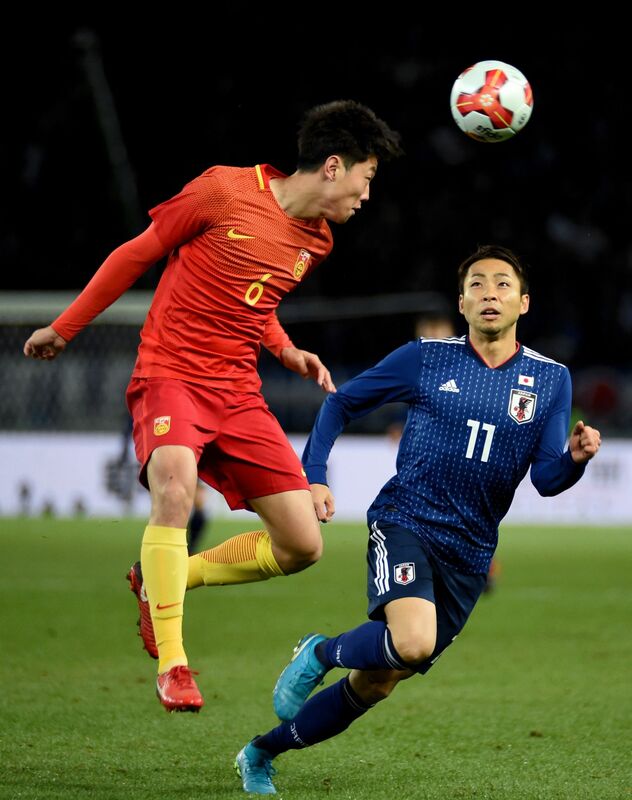 Kobayashi headed a Shoma Doi cross over the bar as a sedate first half came to a close, and China almost opened the scoring completely against the run of play 12 minutes after the restart when Japan goalkeeper Masaaki Higashiguchi denied Yu from close range. But Kobayashi finally broke the deadlock in the 84th minute when Kawamata’s shot deflected into his path and the 30-year-old evaded goalkeeper Wang Dalei before finishing from an acute angle. “We had a lot of chances and I was determined to score at least one goal, so I’m happy to get it in the end,” said Kobayashi, who finished as the J. League’s top scorer with Kawasaki Frontale this season with 23 goals. Shoji then made the game safe with a huge shot from distance that dipped past Wang and into the net, before Yu scored from the penalty spot after Yamamoto had bundled substitute Zhang Wenzhao over in the box. “I think we controlled the first 15 minutes, and it was a very even match,” said China manager Marcello Lippi, a World Cup winner with Italy in 2006. “In football you need to have the mentality to keep the ball. I understand that Japan do this better than China, and that was the difference in the result. Japan finished last at the last edition of the tournament — previously known as the East Asian Cup — but a draw or a win against South Korea on Saturday will give Halilhodzic’s side the trophy for the first time since 2013.